Just this weekend, the NBA held it’s 65th annual All Star game. The skill, dedication and mindset the players brought to the game caused me to think back to the interview I did with the Miami Heat’s Keith Askins while writing The Common Thread of Overcoming Adversity and Living Your Dreams. 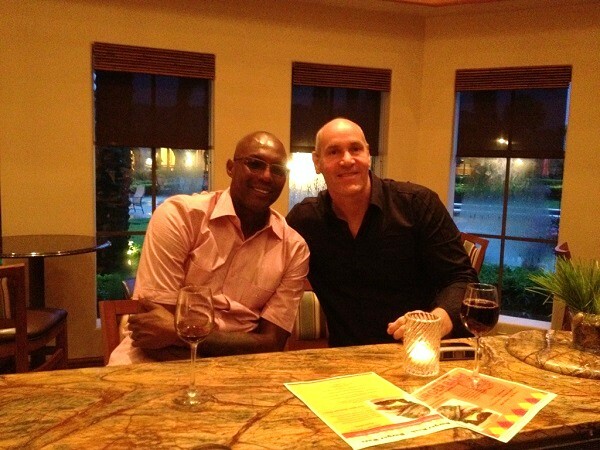 I was able to sit with Keith right after the Heat’s storybook 2012-13 NBA Championship season. They celebrated 66 wins with only 16 defeats with a record of 15 and 1 in their own division. The Heat put together the second longest winning streak in NBA history with 27 wins that season, second only to the 1971-72 Los Angeles Lakers, who still hold the record with 33 straight victories. The best word to describe Keith Askins is resilient. Keith is all about positive beliefs, optimism, developing your problem-solving skills and cultivating a strong social network. His accomplishments could never have been achieved without his dedication and positive mindset. However, Keith’s aggressive play and long-range shooting proved attractive to the newly formed Miami Heat franchise team, the Miami Heat. He thought it just might be a good fit for me. He told me, ‘You are young and athletic—it just may work—and I went down to Miami. And now here I am, in my twenty-fourth year with the Heat, as both a player and an assistant coach!” Askins served as the Heat’s Captain for four straight seasons, from 1995 through 1999. The club awarded him the team’s Leadership Award in both the 1994-95 and 1995-96 seasons. Immediately after he retired from the NBA, the Heat management demonstrated their respect and confidence in Keith by asking him to serve as an unpaid, volunteer coach. They knew he still had much to contribute to the organization. Keith worked and interacted with some of the most successful players and coaches of all time, including Pat Riley and Erik Spoelstra, and players LeBron James and Dwayne Wade while winning three world championships. Askins first joined the coaching staff under Riley halfway through the 1999-2000 season and was promoted to a full-time position a few months later, at the start of the following season. He now serves as the organization’s Director of College and Pro Scouting. I asked Keith if he could see THE COMMON THREAD running through the success of NBA stars with LeBron James or others he has worked with during his 25+ years in the business. He did not hesitate in his response: You have to be very competitive and committed to the cause. Everyone needs a good network of people surrounding them, helping them aim to do better. Success breeds success. “We have one mindset, and that mindset is winning!” — Keith Askins. How can Keith’s advice help you to develop your special skills? Do you have the right mindset to be prepared and be willing to take on whatever comes your way? Free 6 MODULE Sales Course - Lighting Your Motivation Fire!